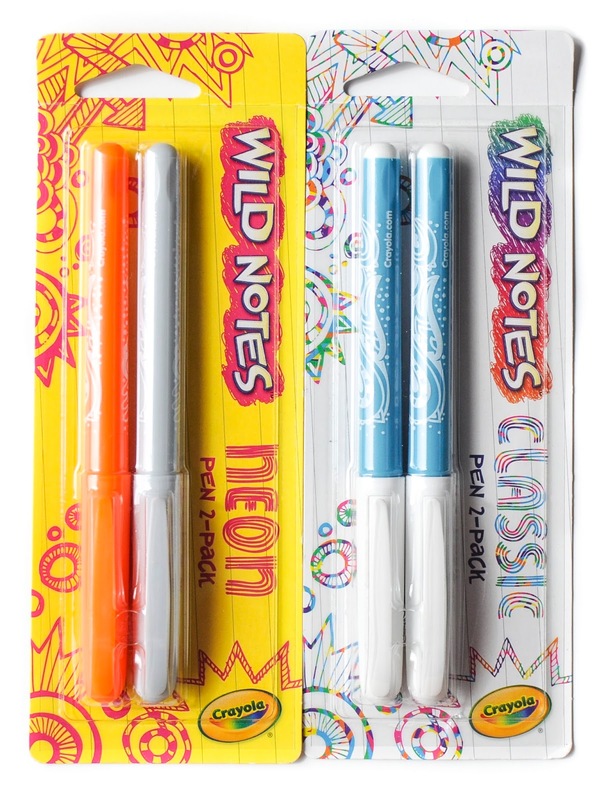 The Crayola Wild Notes Pens came out in 2013. They are made to use with Wild Notes pads of paper. What I did not realize when I bought these items if you had to have the special paper to even use them. I wish the Crayola Store in Kansas City had the paper when I bought these. When they are used they reveal colors underneath the paper. I wonder what would happen if you colored the whole paper. It is like invisible ink. There are colors underneath, the pens ink need to come in contact with the paper to be revealed. Now I need to find some paper. Crayola has made an assortment of gel pens and these pens. They fall under the Crayola umbrella and have not been outsourced. Do you still have these pens? Would you want to sell them? If so, for how much? Would you be willing to sell them(it)? Hi...do you still have these pens and if so, would you be willing to sell them?